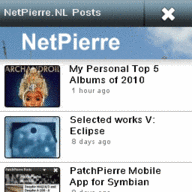 My second, self-made official NetPierre Mobile application is out, for all Symbian and selected S40 devices. 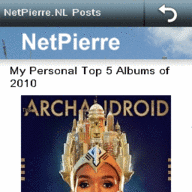 NetPierre presents the NetPierre Mobile app. The ultimate way to watch NetPierre's content on your Nokia device. The app enables easy browsing through the posts and also gives links to the original articles.